White is often considered to be very cold when used in large amounts and I've always been a bit scared to paint a whole room white. White bedrooms make a bold statement but can look stunning when done in the right way. Using different textures on the bed linen or floor help to bring in delicate detail to the room, breaking it up and making it more interesting. Also I think its really important to use a variety of tones of whites and creams as well as soft lighting that together will help to balance the white and make it look less clinical. I love the idea of bringing in a splash of colour with a statement rug, throw, photo or even a plant to really make an impact. 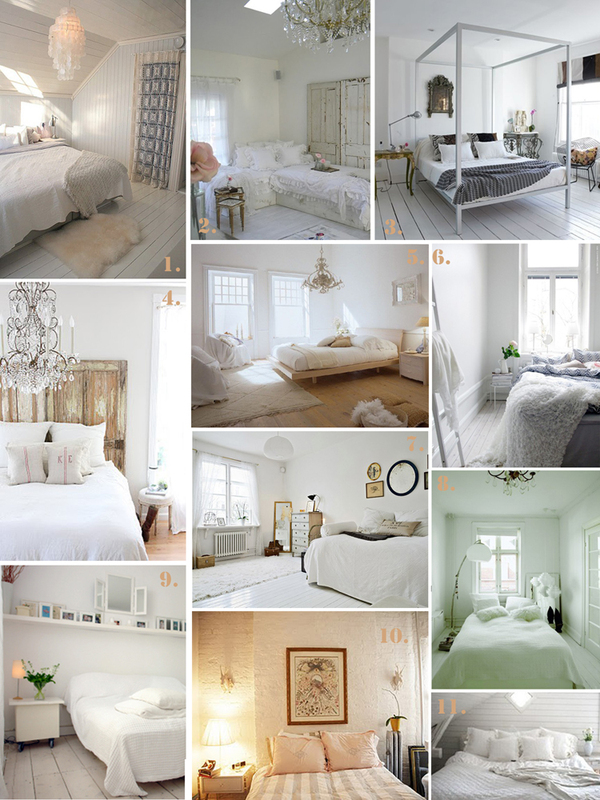 Here are a few of my favourite bedrooms that make me want to repaint.